The BBC is to run an EastEnders storyline which sees the Queen Vic burning down, to make way for the programme to be filmed in HD. It is well known that the reason that EastEnders hasn't been transferred to HD is because the sets are too shabby, and now the BBC is going to drastic measures to make sure that the hi-def makeover works, by getting rid of one of the most iconic landmarks of EastEnders – the pub. The storyline will coincide with the departure of Peggy Mitchell (Barbara Windsor) from the show and, if rumours are true, will also mean the demise of six characters in the show. 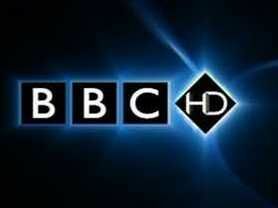 The BBC is ramping up its HD content, with the launch of BBC One HD this autumn. This will be a simulcast version of BBC One, with some of the main shows being in HD – including EastEnders, Holby City, The One Show, The Apprentice, The Weakest Link and QI. Just last week, it was announced that the BBC has improved the picture quality of its HD channel after a campaign group challenged the broadcaster.